when 10 big Wall Street firms in late April reached a $1.4 billion settlement with regulators for misleading investors with biased research reports, one of the key pieces of evidence leading to the result was a trail of analyst e-mail. And last December, federal regulators slapped five prominent brokerages with fines of $1.65 million for failing to keep internal e-mail. E-mail also played a key role in how the Arthur Andersen/ Enron document destruction case and the WorldCom accounting scandal played out. High profile investigations and scandals such as these have proved a boon to Zantaz, a Silicon Valley-based provider of hosted technology services that allows companies to manage, supervise, store, search, and retrieve e-mail and electronic documents. “What’s happened in the past year on Wall Street has shone a bright spotlight on the need to have a handle on your digital records,” says Steve King, president and chief executive of the Pleasanton, California-based Zantaz. That spotlight has helped fill his firm’s coffers. 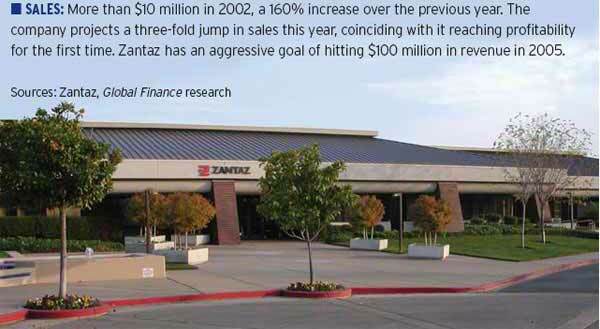 Zantaz’s sales increased 160% last year to more than $10 million. The company projects a three-fold revenue jump this year, catapulting it into the black for the first time, says King. He has set an ambitious goal of hitting $100 million in sales in 2005. Zantaz’s flagship technology is its Digital Safe Service.It takes e-mails,instant messages and electronic documents off a customer’s tapes or disks and puts them online,where they can be retrieved instantly through a keyword search or by using an index. Zantaz charges customers based on how much e-mail they process for archival and retrieval. The firm boasts that it can save firms up to 50% off what it would cost them to build the e-mail archiving systems themselves. “Cost is only one reason why our clients come to us.The peace of mind that comes with working with a company that can make sure they are in compliance is critically important to them,” says King. The e-mail archiving market is projected to grow 71% in 2003 to $126 million in worldwide sales, according to the Radicati Group,a Palo Alto, California-based consulting and market research firm. Radicati aggressively projects that email archiving vendors will surpass $1 billion in total revenue by 2007. The growth is being driven by increased government regulation and legal scrutiny of electronic communications and documents, particularly in the financial services and health care industries, says Sara Radicati, founder and CEO of the firm that bears her name. “Another driver is just the email storage issue,” says Radicati. The traditional way to store e-mail was to keep it on mail servers.But companies kept running out of space and had to keep adding servers. “The e-mail archiving product provides more efficient,long term storage and allows you to search and retrieve e-mail more easily,” argues Radicati. Corporate e-mail use continues to grow unabated. Framingham, Massachusetts research firm, IDC, projects that business users will be sending more than nine billion e-mails every day by next year, or nearly triple the level of just a couple of years ago. Business use of instant messaging is also rapidly growing. Zantaz was founded in the early stages of the dot-com craze in 1996, as Zantaz.com, by technology industry veteran Bill Bankert and Randy Gausman. It was a time when regulators and corporate officials were just starting to grapple with how to preserve e-mail and electronic records. The executives bet that the US Securities and Exchange Commission would eventually require brokerage firms to supervise and keep broker e-mail and electronic documents in much the same way they had to archive paper documents offline.The SEC and major stock exchange selfregulatory arms indeed later amended old regulations to require supervision, retention and storage of electronic employee communications. Zantaz.com attracted high-profile customers such as hard-charging online brokerages, E*Trade and Datek—and $35 million in venture capital from investors. King joined Zantaz in 2000 as chief operating officer, coming from E*Trade’s investment bank,E*Offering,where he was CEO. King assumed the CEO helm at Zantaz a few months later and made a series of tough decisions to tighten the budget and focus the e-mail outsourcing firm. He dropped the dot-com from the name and focused the company’s attention on selling to big Wall Street firms. 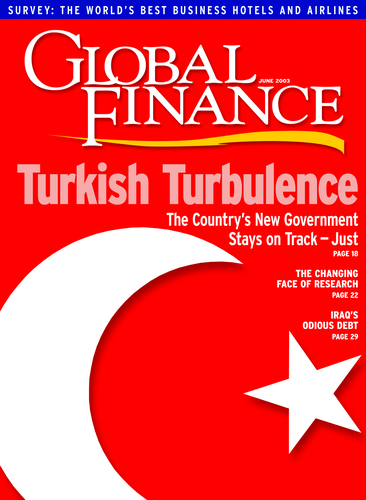 These financial giants have the most complex e-mail infrastructures, featuring large volumes of data, complex systems, far-flung international offices and troublesome merger integrations. So, they need the most help when it comes to getting a handle on their electronic records,King explains. Of course it also helps that regulators have stepped in to mandate that the firms retain and keep readily available their e-mail and electronic documents. What’s more, e-mails are increasingly being asked for in court depositions and proceedings involving big companies and their employees. 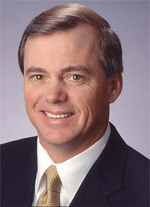 King says the number one issue Zantaz is currently dealing with is helping its clients respond to litigation and regulatory investigations that demand that specific emails that may have been deleted be found, restored and presented.To help sell Wall Street, Zantaz last year formed a partnership with IBM Global Services. Big Blue’s technology consulting arm uses Zantaz’s service and sells it to its financial industry clients. To streamline operations while avoiding layoffs, King last year decided to spin off Zantaz’s research and development arm. Now the core company is on track to be in the black for the first time as revenue continues to soar. What’s next for Zantaz? King says Zantaz is “extremely focused on the US market” right now but that it will look to expand in Europe. Zantaz got its first toehold there two years ago when it formed a joint venture with French bank, Caisses des Depots. Zantaz provides the bank with the technology and expertise to provide digital archival services to other financial firms in France.“We’re at the very early stages of our European expansion,” King says. For now Zantaz has plenty of fires to put out in the US market as it helps clients tackle an increasingly nettlesome email management problem amid today’s challenging legal and regulatory landscape.